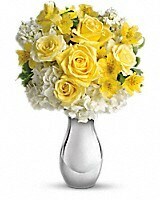 Teleflora's So Pretty Bouquet in Guelph ON - Robinson's Flowers, Ltd. 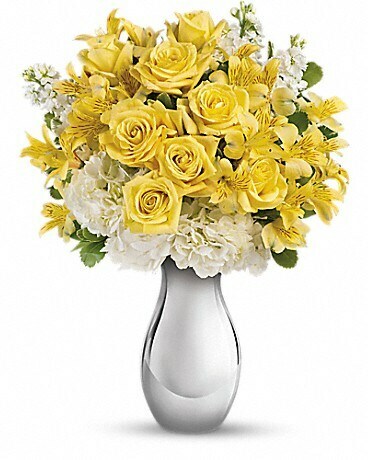 This bouquet is called "So Pretty" because it is s-o-o-o pretty. 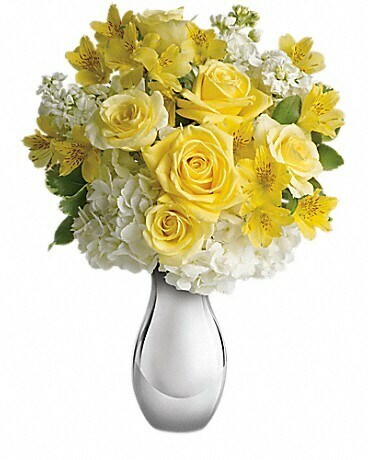 She'll love the soft yellow roses, white hydrangea and other favorites - so artistically arranged in the dazzling Silver Reflections vase. 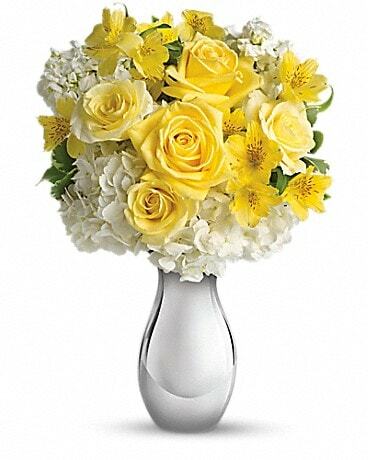 Expect one of her biggest smiles ever. 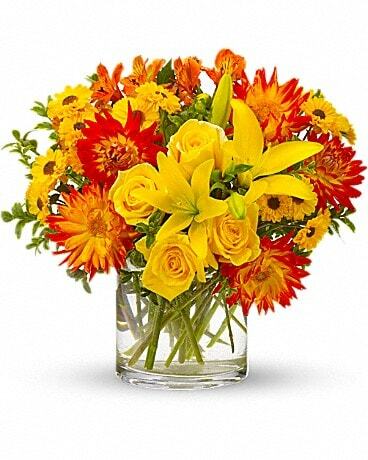 "That is one of the prettiest bouquets I've ever seen" - don't be surprised if that's what she says about the deliriously happy array of beautiful blooms. 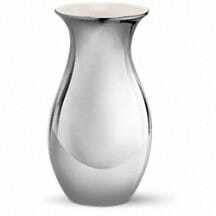 And the shimmering Silver Reflections vase - wait till you hear how she raves about that.